Established in 1962 Enel is a global manufacturer and distributor of electricity and gas headquartered in Rome, Italy. 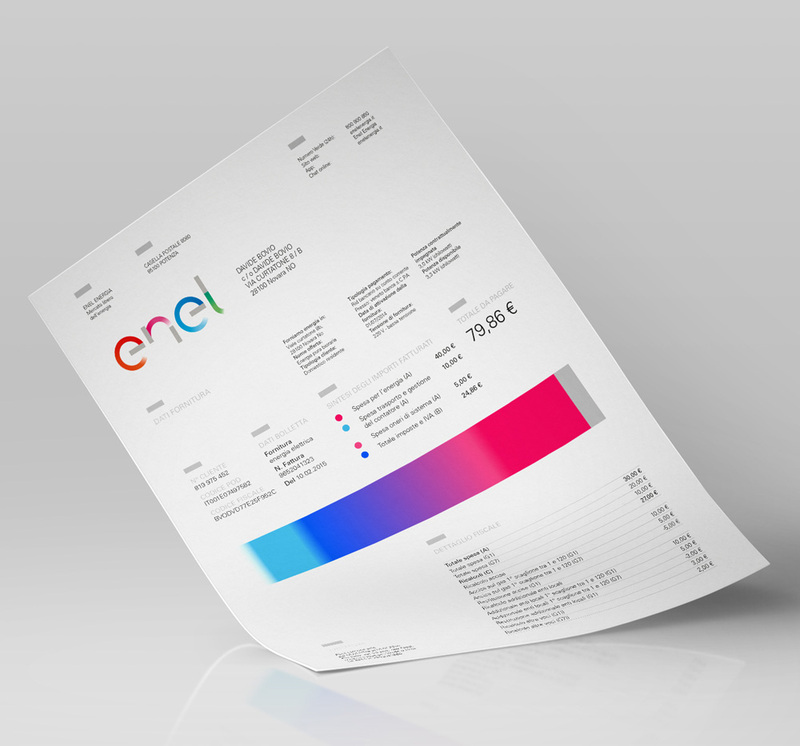 Enel operates in more than 30 countries in different capacities from generation to sale for end users of energy in some parts of Europe, to managing power generation plants in the Americas, and is the leader in renewable energy production. 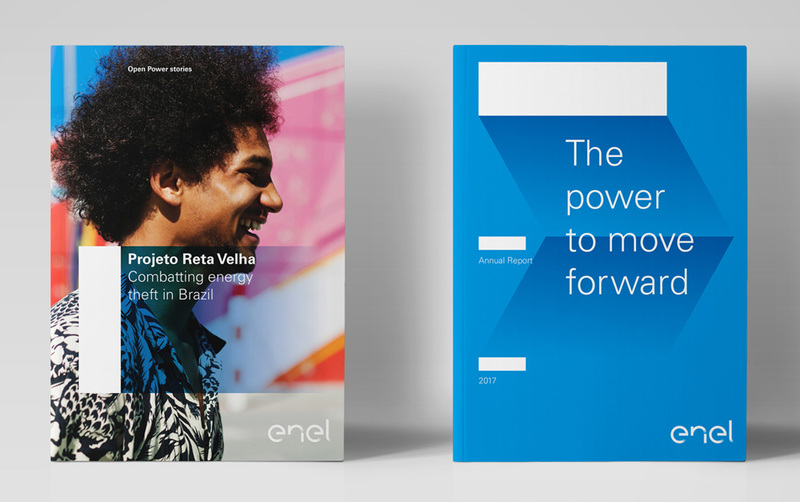 Last week, Enel introduced a new identity designed by the London office of Wolff Olins. At the heart of our new expression sits the cursor, an iconic visual symbol that represents Open Power. The cursor is the starting point of energy, it’s always moving, always energetic, echoing the very core behind the power of a light bulb - the filament. The cursor informs the look and feel of our new brand and creates a consistent design language that ensures everything we do ties back to the principles of Open Power, from our logo to print and digital applications to products and signs. Our new logo is a modern and highly recognisable word mark. Its shape has been created by the movement of the cursors, each letter consists of a cursor, followed by a colourful trail of energy. 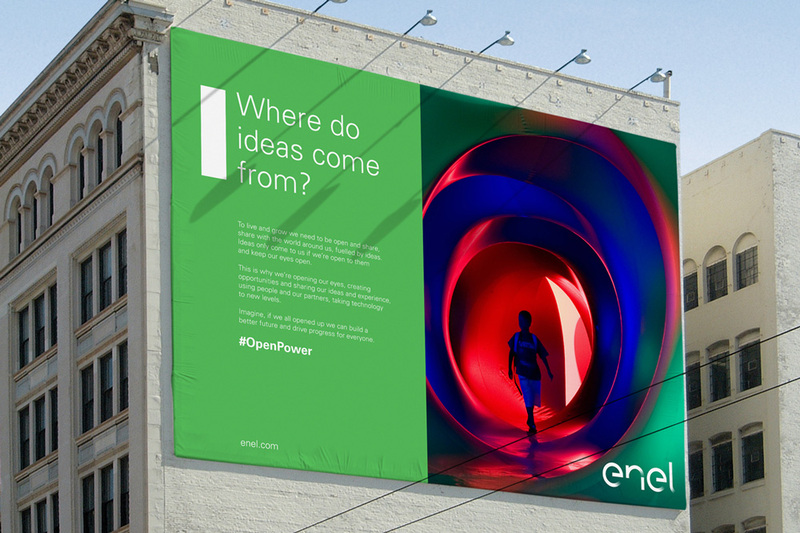 Its unique typography has been used throughout all of brands, for Enel, Enel Green Power and Endesa. This helps us to create a strong, consistent family of brands. It’s hard to believe the before and after logo image is for the same company. The previous one was so conservative, bland, and terribly designed (at least the icon) and the new one is basically the opposite. The concept behind the logo has to do with cursors, which has to do with filaments, which… fine, I’ll buy it but to me the logo looks a gas or power meter in your house with all the knobs and dials going in different ways. I like the trail of gradients left behind each of the bars and I think the single-color version might be more interesting than the full color version — the completely flat version, well, let’s hope there aren’t many cases where that is needed. In the animation above and the introduction video, the visualization of sparks and one bar being connected to the other are very interestingly resolved and give the logo a literal pulse. Flat version and sample applications. In application, the cursors and gradients play a significant role to frame content and interact with imagery or simply to be there and look cool (as in the cards with a question mark) For a global energy company it has a progressive feel that makes it feel vibrant and relevant. Overall, a significant and positive change with an identity system that has a number of good years ahead of it before it wears out and it’s nice to see Wolff Olins back on the block with a bold approach for a large corporate client.